This Saturday is the official kick off to our new First Saturday Block of the Month. 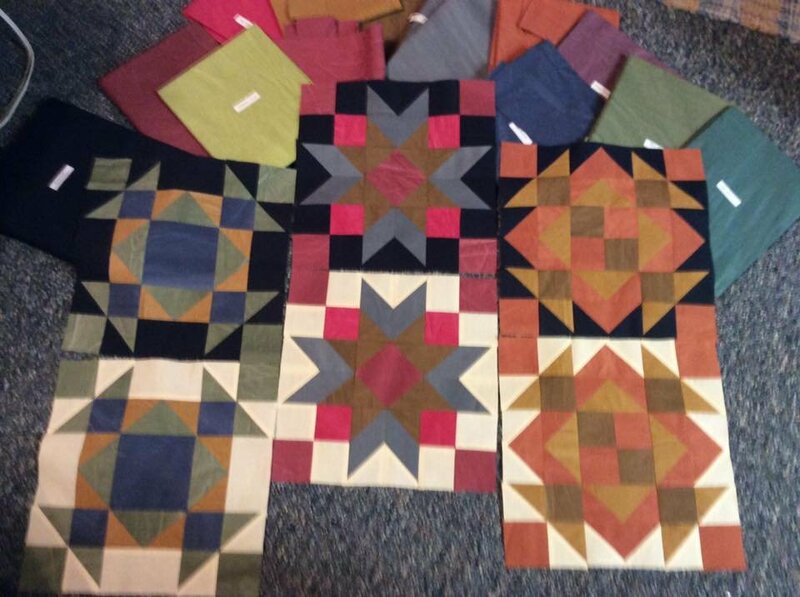 These beautiful blocks are made of Hand dyed, Sun dried muslin fabrics. The variations in colors are just spectacular. This quilt finishes at 82 x 98 but with an extra row it could be made into a Large queen or king sized quilt. The fabrics are from Marcus and there will be no problem with re-orders. The possibilities are endless. You can make matching pillow cases, bed ruffles and more. Sign up is just $35 and when you bring in your finished block to club each month your next block is free. 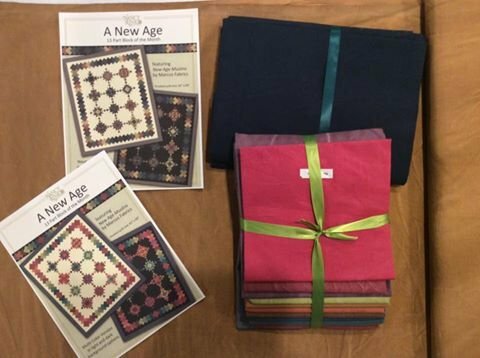 Finish kits will be available in March if you want to get a head start on piecing borders. If you can't make it Saturday call ahead or stop in so we can get your kits ready for you. First official class will be Saturday Feb. 6th. Couldn't make up my mind so I made the positive and the negative colorways. NextThursday Jan 21st will be our 3rd class for the Color it Blue quilt. We will meet at 9 a.m. and 6 p.m. This will be our half way point and will finish this one up in April, just in time for the blue birds to appear. It's not too late if you would like to join us.